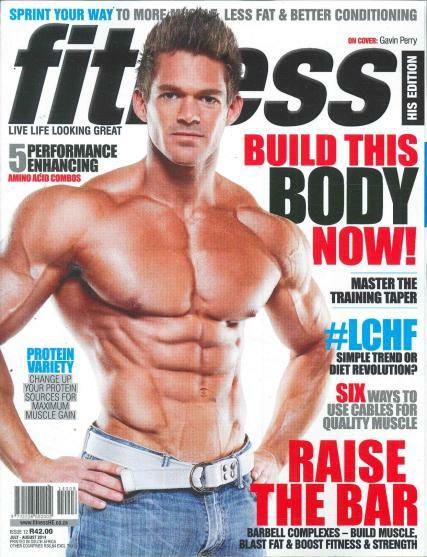 Fitness His Edition magazine is the quintessential read for men. Buy a single copy or subscription to Fitness - His Edition magazine. Who want to live life looking great with in-depth info on training, exercise, sport, nutrition and supplementation, as well as a healthy dose of men's lifestyle content. Fitness His Edition magazine covers all aspects of the men's health and fitness lifestyle with dedicated weight training features that delve into everything related to gym-based training, as well as various sporting codes and the related training modalities. It covers health and fitness product news, trends and techniques, as well as expert nutritional and supplementation information from the industry’s top experts – all delivered in a well designed, attractive looking layout that entices readers to carry on feeding their hunger for information. While remaining true to it's core editorial pillars, Fitness His Edition magazine will also satisfy the male need for informative content on the latest lifestyle trends in the clothing, gadget, motoring, technology and male grooming products, with a regular focus on sexual health too.